It is funny how quickly the train of thoughts rattled through – quick turn back before she sees you! you will never pass! why did you come out! your voice will give you away! Oh Sod it! So without missing a step I continued forwards – each of us looking at the path ahead of us until we got to within 5 ft of each other, we made eye contact, we both smiled and I said hello and then like that we were past each other. I have no clue if I “passed”, or if I gave this walker the fright of her life, but she did not increase her speed and neither did I, later on as I arrived back at my car I caught a glimpse of pink much further up the hill – she was taking this walk much more seriously than I was. It was a walk in the countryside. Perhaps a first walk outside? Dee had her new red coat on and tells us about her adventure. There had been a blog I read many years ago about the time in a transition when you ‘ascend’ being trans, when you ‘make it’, the time that there is more in your life than just ‘being trans’. The stirring pain inside was a realisation of sorts, all the excitement and the whirlwind of transition had come to a perfect stop. Balanced elegantly on the edge of a deep drop into a murky world of society. The bubble had burst, no longer was my entire life focus on ‘being trans’. This is a really positive post, from Faith, that I meant to feature a few weeks ago. What happens after transition? New friends, new job, new life and not more all-encompassing thoughts about being trans. Read all about it here. It took both transitioning and detransitioning and not getting the satisfaction I expected to get in each case to figure that I was trying to solve the wrong problem. Both my transition and my detransition went relatively well and I got much of what I was looking to get out of both processes but getting what I wanted turned out to be less fulfilling than I expected it to be. 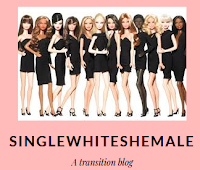 This is a relatively long and well thought out post from a woman who transitioned to male and later detransitioned. He or She? 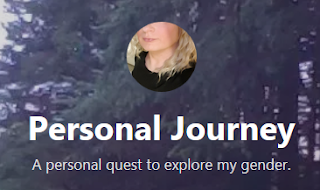 I think the better term for this blogger is Person. In reading other articles and blog posts regarding the use of a dead name, I understand why a trans person would feel a myriad of feelings when another person uses their dead name. The first time I heard the term “Dead Name” a transperson was explaining how hurtful it was to hear her old name. Her name that she went by before her transition. Until now, I had never heard the term Dead Name. Makes sense, I suppose. This post, and its a good one, is from the Transgentle Wife's point of view. Keeping two wardrobes can be tricky. I would love to think it's not about deceit, but keeping things out of the way. Not everyone needs to know what we have in the cupboard I guess. Here's a short one, from Lynn about two wardrobes. Being Trans is not easy, I love it when people tell me they admire and are encouraged by my story and life. The hard cold reality of being Trans is one that is Alone and sometimes Unemployed. When I asked my son (who is transgender) what kind of impact our support had, he looked me straight in the eye (which teenagers generally don’t do) and said, “I don’t feel ashamed of who I am.” Several years later and I can still feel the power behind that statement that he uttered with such conviction, not a moment’s hesitation. A nice post from the mother of a transgender teen. "I knew from a young age that I wasn't the same as the other children," says Sophie Roberts, a 34-year-old Amazon software manager based in Edinburgh. 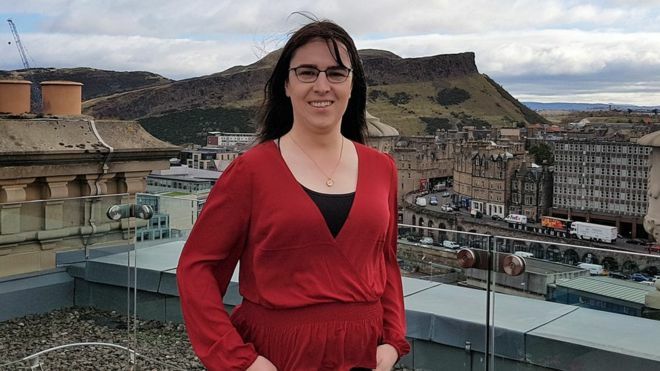 Several months ago Caroline, who for years has blogged at Time Regained, sent me a link to an interesting BBC story about a girl in Scotland who transitioned at work. Her story, 'How Amazon helped me transition to a woman', is available on the BBC website. 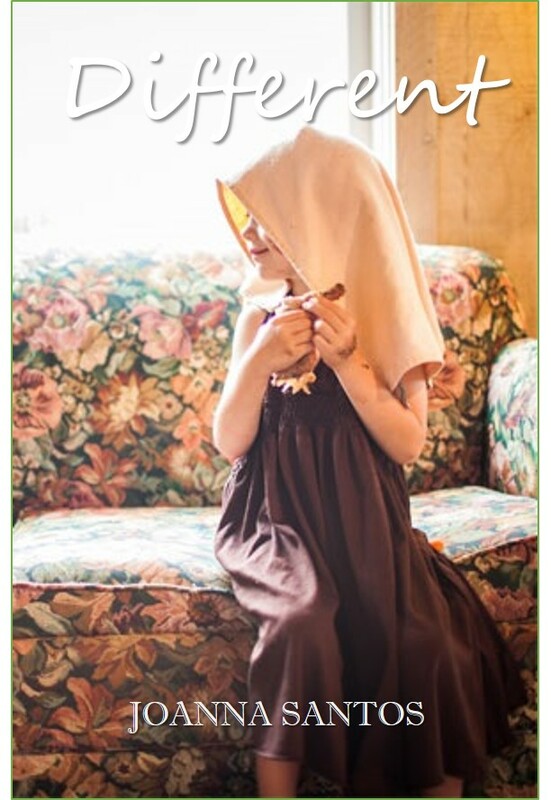 I have a precious gift for you readers -- I'm going to alert you to a wonderful blog you'll love. Most of you don't know about it yet so I'm excited to put it on your radar. This post has nothing to do with being trans. It's about makeup and I'm guessing there may be a few of you out there who might have some interest in the subject. Our Shybiker includes a nice interview with the author of Makeup Museum. There are many transsexuals like me who have not transitioned and more of us belong to that generation where we did not know what was wrong with us. Young people today have the luxury of not only having the internet but an entire medical system replete with information on psychological help, hormone treatment and surgery options. Joanna, like myself, has long been a student of the transgender and transsexual psyche. In"a question of origin", she ponders a bit more on the subject. And, while I'm at it, I want to mention Joanna's book, Different. You can read a bit of the first chapter here. The job termination followed that event. Trouble is a long and sad post about discrimination and mis-gendering. To fully understand this blogger's history, do go to all of the tabs at the top of the page and read the contents. It flickered sharp blue, lilac, ice white and pink randomly. I watched that star for a moment as it captivated me as it always does. Two stars entwined with each other and burning bright for more time than we could ever imagine bound by some unimaginable force. It was the one thing I didn’t have at the moment was that bond with someone in that same binary way. I've said it before....I'm in love with Hannah's writing. How can you not want to continue reading her posts, when they start out like the paragraph, above? Outgrow is a post about relationships and how they mesh with being trans. It's another wonderful post, from Hannah. I was surprised at how nervous I was about doing it though. I wasn't concerned about the person who offered to do them. I had confidence in her. I wasn't nervous about hanging out with her either, she's a total doll and fun to be around. I was nervous about two things really 1 - could I actually sit and allow someone to do this to me? And 2 - how would it look. She looks fab! Go Flashy Lashes!, to see for yourself. It's all from that California girl, Nadine. What to wear, what to wear? What would you like to feel when you're getting dressed to go out? Does getting dressed form a key part of the night? Are there any pressures when dressing up? What do you do about deciding what to wear? What does a look for different events - meal out, party night, visiting friends - look like? The questions, above, are from a survey sponsored by a women's clothing retailer. Lynn has her answers. How about you? Go here to find Lynn's answers. Leave her a comment with yours. A few weeks ago I was in an accident that required an emergency visit to the hospital via an ambulance. I had called the wife to tell her to meet me at the ER and as I was talking to her I realized that I had painted my toenails a very bright sparkly red just recently as well as shaved my legs. As Cynthia put it, It’s 2019 world and I can damn well have pretty nails too. How did the hospital doctors and nurses react? Read, Starting off 2019 with a Break, for the answer. I also want to give Cynthia a shout-out for the sweet words about her spouse. So nice to hear. We are quite often our own worst enemies. Being militant, being loud, being the center of attention only fortifies stereotypes. Think, please! It is undeniable that stereotypes exists and we must do what we can to break them down, not build them up. Are We Our Own Worst Enemies? At times that would appear to be the case. Kandi thinks so, and so do I. She says this might be her last post. I'm betting there will be more. A few thoughts about life, forever young, from Miss Twist. This is a guest post, from long-time blogger, Caroline. While her Time Regained Blog is still listed, she's been having trouble with various components of the Blogger site, including comments. If you wish to comment, please do so here and Caroline will see them. After a few hours I took a taxi ride to my fate. I was given a room in this hilltop clinic with a sweeping view down the fields to the sea beyond and already signs of snow lying in places from the night before. I have rarely had a hotel room on my travels with space and views like this! Best of all I get the view from the bed where I shall be prisoner for some days to come. My greatest surprise was the feeling of utter calm. Once I had boarded the train south I had started to relax and I had not had a moment of anxiety through the whole journey to this room. What I had anticipated was a heart thumping gush of emotion when left alone to contemplate the procedure the next day and everything that I had gone through to reach this point. A journey which started before I was three when my sisters were born and plunged me into confusion. At four and a half I had a small crisis which caused me to construction emotional defence barrier to never show my true self or shed a tear until the transformation to adult, surely female adult, was complete. I was facing a serious operation. The clinic had a hundred percent success rate, occasional setbacks for some patients and with my miserable self healing system I was expecting a less than text book process. They said that my request for a DNR should have been made in advance, I suspect that they did not wish to ruin their perfect score just because I did not want to be jump started… I had got to my target finishing line, anything extra would be a bonus, I could now die happy. Asking about the impending snow I was assured that many staff just stay on in the clinic if they feel that getting back will be too difficult and best of all the surgeon told me that he could walk in! Just as well since overnight the snow came and brought the country to a halt for the best part of a week. I doubt that my pulse rate was a beat faster than normal. I had reached the point of rescue which I had been told in my late teens would never happen in my lifetime. I was going to be able to spend the rest of my life as I had always known I should. I’m returning to work tomorrow. Which is going to be surreal AF after 15 months off and some extensive remodeling on my part. After 15 months, Chrissy 2.0 having complete her transition, returns to work in her new body. I love this girl's confidence and subtle sense of humor, which extends to the music video she has included with this post. The idea that femininity is inferior to masculinity is what drove many of us to despise our own natures. The culture I grew up in valued masculine men and respected feminine women but there was little doubt where the power lay. You read the paragraph, above, and wonder why is it a reason to rejoice? Follow the link for a short post, from Joanna. Every young bride that stands before her handsome groom has a dream as to what her future life would look like. Images of tropical vacations with umbrella drinks, babies that grow up to kids to shuttle to soccer practice and ballet lessons, and sitting together on a porch swing as grandparents dance before her eyes as she walks down the church aisle towards a new life while holding hands with her new husband. I know I carried these thoughts the day I said I do to my husband. When my husband told me early into our marriage that he has an obsession to wear women’s clothes, that fact fit into did not match the life-plan I had laid out for myself, for us. It was not part of my future dreams. So many conflicted emotions fired up inside of me when I read this post. As I have said before, The Transgentle Wife's spouse is truly fortunate to have such a loving and understanding partner in life. PASSOVER - Happy Passover to all my Jewish friends. IMG_7721 [Flickr] - Sandra M. Lopes posted a photo: [image: IMG_7721] Flattr me! The brighter side of the moon.. | A trans-woman, in a trans-phobic society ..
Xandra | I am what I am – and what I am needs no excuses…. Life Update - Where has this blog been? Where have I been? Where am I going? My journey to being a transman | FtM transitions of a father. Third Way Trans | Alternate ways to think about gender dysphoria, gender identity, retransition, and detransition from a former trans woman and psychotherapist in training. The grass is greener. Notes from the other side. OhMiaGod | Trans stuff, life, etc. Kate Unafraid | Life through the eyes of a transgender woman. It's ok to be a glow stick – Join me on my roller coaster of a journey with ups, downs and everything in-between. This is my journey of growing from a girl to a man. Identity Crisis - I have lost my identity. I'm not sure if I'm still mom, wife, daughter or 911 dispatcher. If I'm not any of the above, then who am I besides lost? Me... - Realized I hadn't posted in a while. That will change starting with an updated picture of me. Musings of a Life in Transience « A twenty-something transperson pagan attempting to traverse life in the Big Apple. Call Me Keira | I'm beginning to accept myself as Transsexual. With this blog I plan to explore what that means for me. So Very Deep (In The Closet) | I get lost in the petticoats… the ramblings of a life long cross-dresser. get some 'bloody' humour. period. Paths | The destination is known, but the journey is not. transandnewishtobeingjewish | Follow My Journey of Becoming a Man (on the outside) and a Jew! 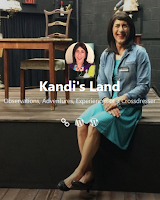 Transitions – Sometimes growing means new experiences. transknition | Because I need *somewhere* to babble. Transgender, Disabled, and Homeless...OH MY!! Wife of Trans | When "for better or worse" meets "till death do us part." leah2lee | My experience of transitioning from Leah to Lee. Becoming Tamara | My story of gender transition… literally becoming Tamara. A Controversial Stance On The Word “Queer” - Controversial new video about the use of the word queer in the LGBT community. The View From 9 Feet Up. What a long strange trip it is! Michelle Finally living as the girl inside! Bree's Tea... Won't you come sit and share a cup? It's cliche to call this a "journey"
We Moved! - Update your bookmarks and join us at: TransEquality.org/blog for the latest news, policy analysis, and resources. Humans 4 Equality - Equal Rights, Now! Help! My Husband is a Crossdresser!